Celebrate 25 years of the ADA. 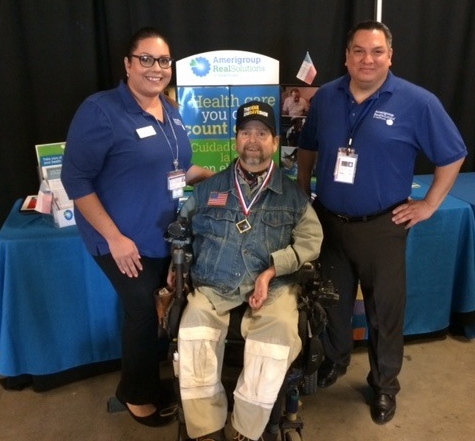 Gene was fortunate enough to meet up with our friends from Amerigroup at the ADA25 celebration, March 3rd at the Bob Bullock Museum. Unfortunately, Dave was under the weather and couldn’t attend. Amerigroup has long been a good friend of The Gene and Dave Show as well as other disability related programs. Thanks Amerigroup! Gene is sandwiched between Roger De Leon and Jadah Navarro. Both are Amerigroup community relations reps.
We were all there to celebrate 25 years since the ADA was signed (actually, it was signed into law July 26, 1990). Lex Frieden, the architect of the ADA, was there. 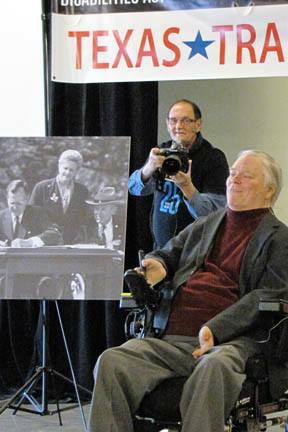 Lex Frieden at the 25th anniversary ADA Celebration. So was Frank Lozano from ADAPT, El Paso, and Regina Blye from Texas SILC. 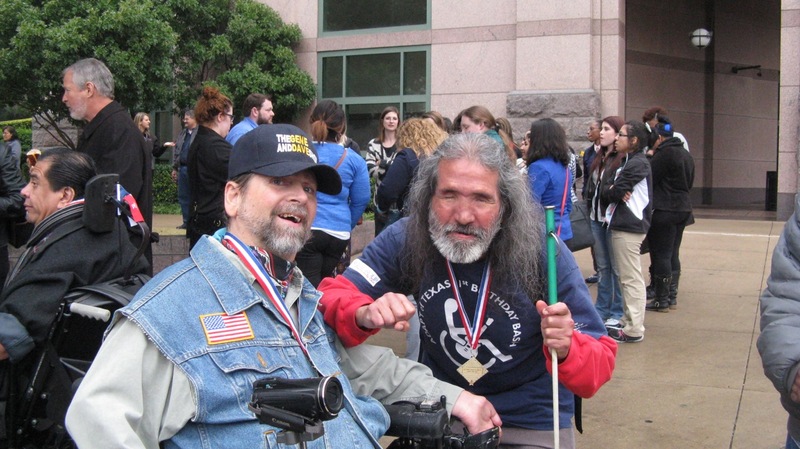 Frank Lozano from ADAPT, El Paso, with Gene at the ADA 25th anniversary celebration. 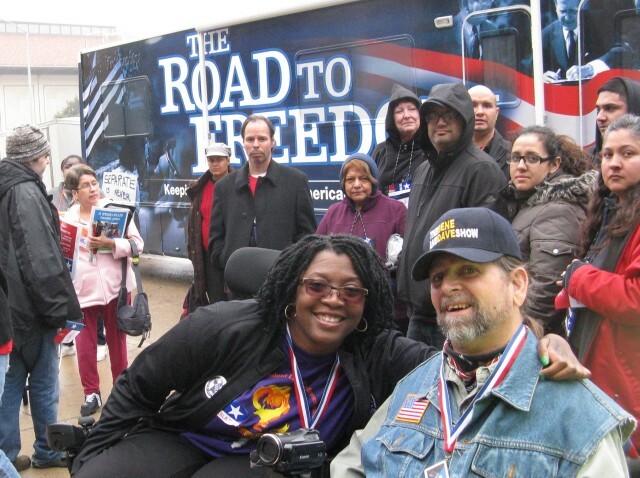 Regina Blye of Texas SILC with Gene at the ADA 25th anniversary celebration seated in front of The Road To Freedom . Those of us wearing red, white and blue lanyards holding a medallion, are recognized by our peers as Trailblazers, someone very involved in the passage and/or implementation of the ADA.